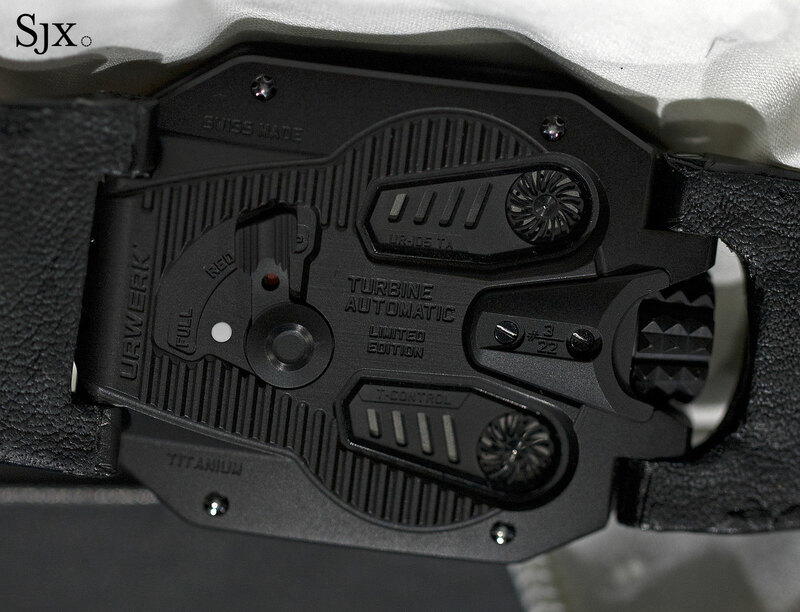 Looking like a weapon from Game of Thrones, the UR-105 T-Rex is Urwerk's latest creation, but one that harks back to the brand's origins. 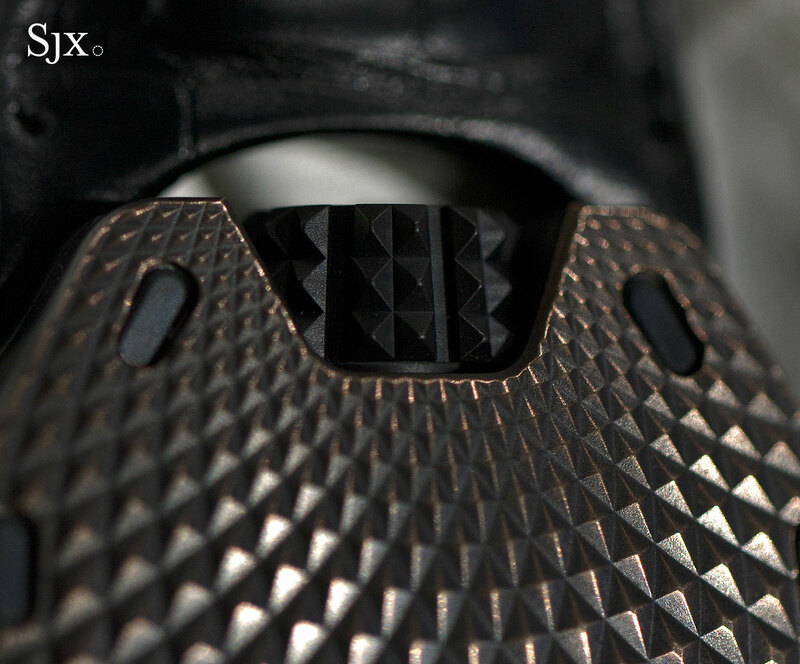 We go up close with the T-Rex, complete with original photos and pricing. 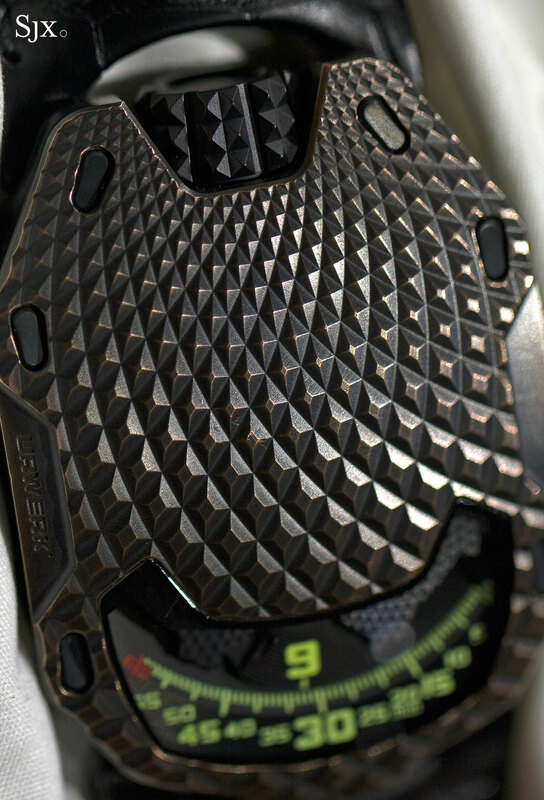 Fans of Urwerk will remember the UR-103 as the watch that put the watch on the horological map. It reproduced the centuries old wandering hours complication, but inside a case that was remarkably avant-garde for the time. The time was shown along a narrow window on the bottom edge, leaving the rest of the case a blank canvas for engraving. With the UR-105 T-Rex the brand returns to that original design with a remarkably striking watch. 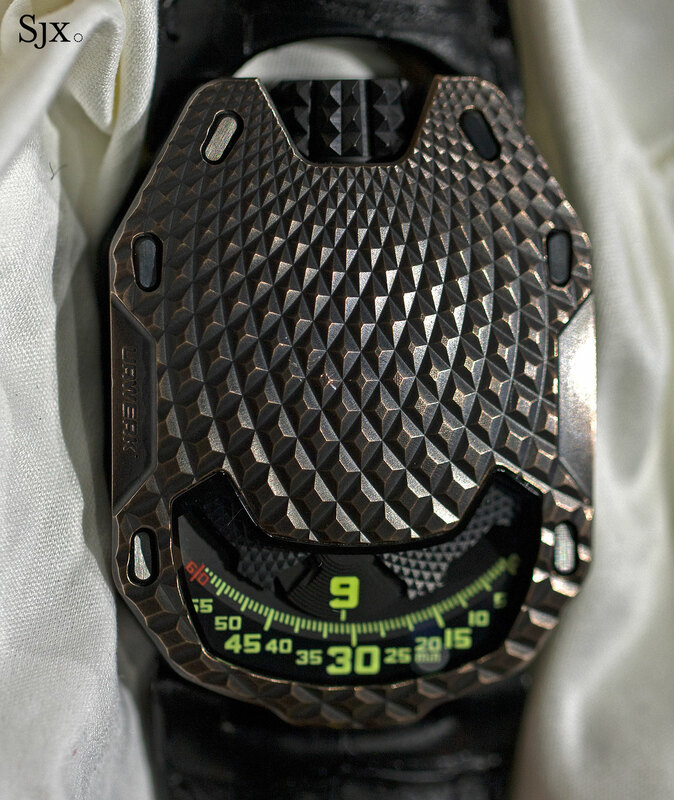 While recent Urwerk watches have tended towards the gadgety, with numerous gauges and scales all over the case, the T-Rex is minimalist, at least from a functional point of view. The time is displayed – in vivid yellow-green Super-Luminova – along a small “U” shaped window. As is traditional for the wandering hours complication, the hour numeral points to the minutes as it travels clockwise along the minute track. 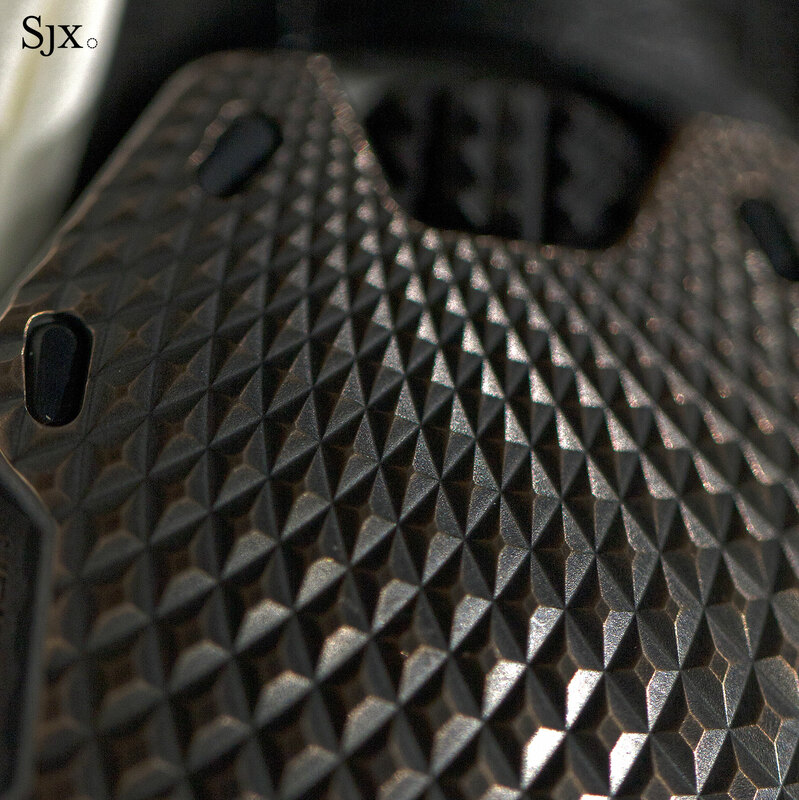 The rest of the case is impressively machined with a raised hobnail pattern that evokes the leathery hide of an ancient reptile, explaining the name. 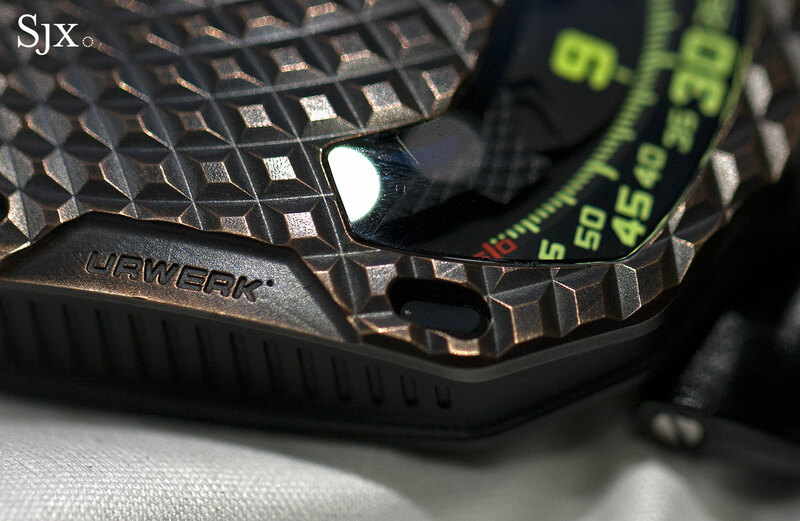 It’s made of bronze – the first time Urwerk is using the fashionable alloy – that has been finished multiple times to give it an aged look. The result is something that would look perfectly at home as a prop on Game of Thrones. Even more fearsome is the crown, which is very large and covered in spikes, looking like a miniature club; a pleasingly aggressive detail that looks perfectly at home. Turn it over and the look is more conventional, with the same case back as the standard UR-105. 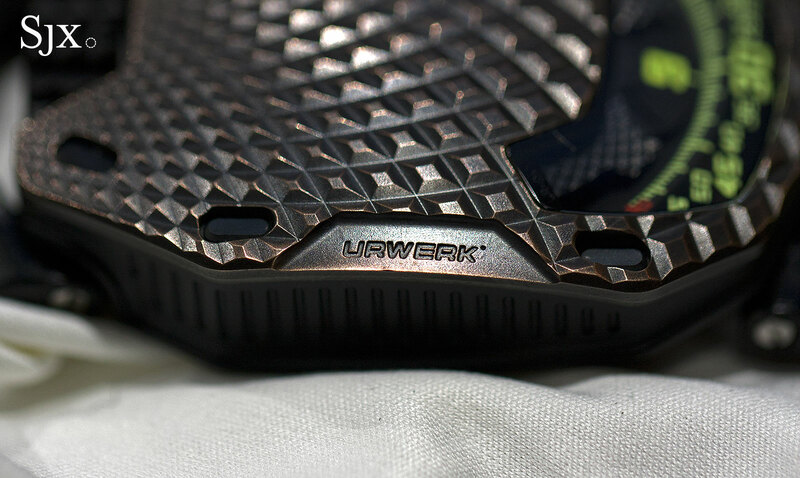 Made of titanium with a black ceramic coating, the case back has two key features. The first is the winding speed lever that goes from “Full” to “Red” to “Stop”. This controls the automatic winding, with “Full” allowing it to wind at maximum efficiency, “Red” short for reduced efficiency, while “Stop” halts the winding mechanism. The logic behind it is to optimise the winding based on the wearer’s physical activity: a motionless paper pusher should have winding set to “Full” to ensure the watch is wound despite his indolence, while a warrior brandishing a bloodied, spiked club can do with “Red” since rampaging all over the battlefield does wonders for winding the mainspring. 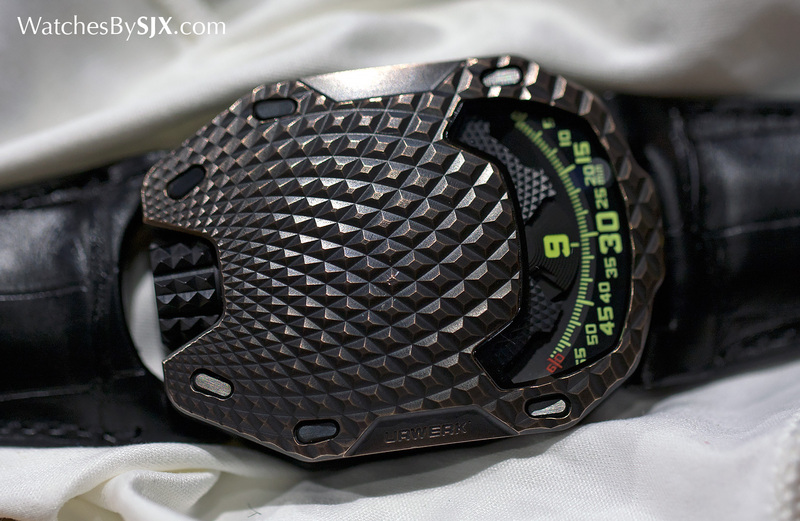 The UR-105 T-Rex is a limited edition of 22 pieces, with a price of SFr65,000 without taxes (about US$66,400). The price in Singapore is S$114,900 including local taxes.